Products – Cameras – 62RHG680-WSM – Team Research Inc. 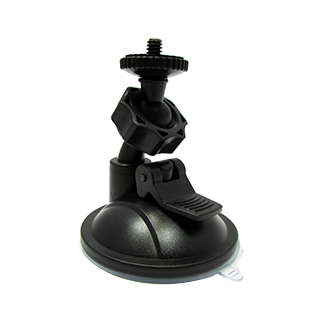 This high quality suction cup made with professional grade material can hold firmly the Roadhawk dash camera, GoPro and ActionPro sports camcorder, and other device with a standard 1/4″ tripod mount. It can be easily moved from car to car and provides a strong power to secure when mounting with a lock level. • 90 Degree rotating head for adjustable video shooting application. • The suction mount holder is versatile for all smooth and flat surface, easy and convenient to use. • Professional grade material, solid and strong construction. • Can be attached firmly to your car windshield. • Supports Roadhawk, ActionPro, GoPro and other optical equipment with a standard tripod mount.